The sixth major installment in the best-selling TPP stealth game series, which originated in 2000 and is continually developed by IO Interactive - the studio also known for the Kane & Lynch franchise. 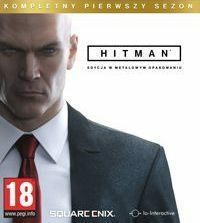 Hitman is the sixth installment in the cult TPP action-game series, where the player could resort to a full-blown shoot-out, stealth infiltration, and anything in between in order to complete the mission - to locate and eliminate his living target in a more or less sandbox location. This chapter was created by the fathers of the series – the Danish developer company IO Interactive. The thing that stands out, in contrast to the previous chapters, is the lack of any number or a subtitle in the sixth installment's title. That's because the new Hitman for PC and XONE is not a direct sequel to any of the previous chapters. Although Agent 47 reprises his role as the protagonist, and the game is set after the events of Hitman: Absolution (the fifth part), the plot is unrelated to any of the previous stories. As usual, the game offers several methods to complete the mission objective – you can either sneak past the guards, or just shoot them, albeit provoking a shoot-out can easily come bite you in the back (after all, Agent 47 is not Rambo). The game itself encourages more subtle (or at least less suspicious) methods, e.g. infiltration in disguise, long-range sniping, usage of silenced weapons, poisoning, or staging various kinds of accidents. The most important feature of the new Hitman is its abandoning of linear gameplay structure. Now, instead of a string of missions, you will be given a number of locations scattered across the globe - much larger in scale than before. You return to a location from time to time in order to complete main missions as well as additional contracts. At first, individual jobs are seemingly unrelated; as the story progresses, however, you discover an intricate plot connecting your activities. Furthermore, the missions are longer and more complex, sometimes they offer optional targets to eliminate, and completing them may take several hours of gameplay. Apart from story missions, the developers will periodically offer extra contracts that can be performed only during a set time window, and once over a certain period of time. One more interesting thing is that the game is a partial release. The game's design intends for it to be expandable over time, offering new challenges (including story-related ones). However, in contrast to many modern-day AAA games, Hitman’s extra content is completely free – no paying for DLCs, no microtransactions, no Season Passes, etc. The game employs the Glacier 2 engine, the same one that was used in the previous installment, although it was properly improved since then. Now Hitman on PC and XONE can boast excellent visuals, befitting a game intended for eight generation platforms.